They're absolutely real, Chris! We use a freshly-cracked Canada Grade A large egg on every Egg McMuffin, supplied to us by Burnbrae Farms. 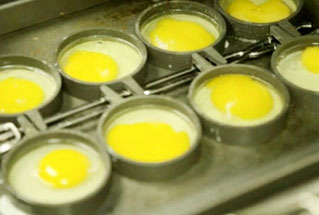 You can see how we cook them to be perfectly round in this video.